Campaign US had the privilege of sitting in on the Super Clio debate. Drum roll, please.... The 5th Annual Creative Bowl Super Clio has been awarded to HBO and Bud Light for its Game of Thrones Super Bowl spot by Droga5 and Wieden & Kennedy. During the debate, which was led by commissioner Rob Reilly, the global creative chairman of McCann World Group, jury members pointed to the fact that the commercial connected two brands in an interesting, magical way. One juror said the spot was the "most surprising piece and felt right from beginning to end," while another pointed to how well the collaboration was pulled off between two agencies and brands. 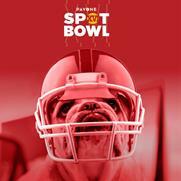 The eight shortlist spots up for discussion were: Audi’s "Cashew" by Venables Bell & Partners; Google’s "100 Billion Words" created in-house; Bud Light’s "The Bud-Knight Game of Thrones" spot by Droga5 and Wieden & Kennedy; NFL’s "100 Year Game" by 72andSunny; Amazon’s "Not Everything Makes the Cut" by Lucky Generals and in-house; Washington Post’s "Democracy Dies in Darkness" by Mark Woollen & Associates; Stella’s "Change Up The Usual" by Mother New York; Burger King’s "#EatLikeAndy" by David Miami and MullenLowe. Juror members narrowed down the eight to a list of the top five, which was meant to be four, but Audi and Burger King tied. From there, the list was debated down to a winner and three finalists, which include: NFL’s "100 Year Game" by 72andSunny, Audi’s "Cashew" by Venables Bell & Partners and Burger King’s "#EatLikeAndy" by David Miami and MullenLowe. While some jurors felt that the NFL spot would only resonate with football fans and was too long, the majority believed that it presented the players and the league in the best light it could, especially after a difficult year politically. Jury members also joked about how the spot elevated the actual Super Bowl game, which was lacking in action. On Audi, some jurors said the idea lacked direction and the tagline of "A Thrilling Future Awaits. On Earth" was unfitting. Those in favor of the spot said it was beautifully shot, had great casting and was a good, simple story. Burger King was hotly debated. One juror said, "I’m not sure if I liked it for the oddity or creativity, but it didn’t make me want to get a Whopper." Another said that most viewers didn’t realize that the footage was real, while someone else chimed in that Andy actually wished for a McDonald’s item at the end of the full-length film. Those in favor of the commercial said it "quieted the room," played against the typical big Super Bowl ad expectations and was "wonderfully strange." Stella was dropped from the finalist list because the majority of jury members said the commercial felt "too disparate" and "hard to follow." "It's great to have a jury of top industry creatives debate the Super Bowl spots—it's fascinating to hear their insights on which work cut through the noise of the game. 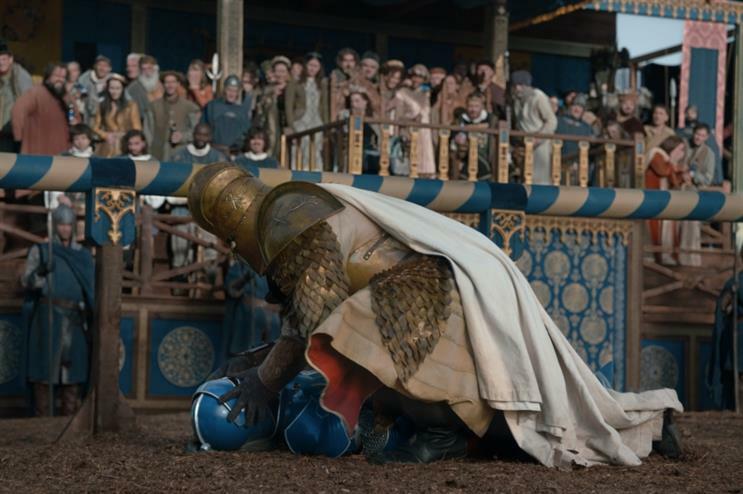 HBO and Bud Light's ‘Joust’ was a clever, funny, brilliantly crafted commercial—a hilarious and timely crowd-pleaser that's also a great example of the kind of openness and collaboration that will be useful for all brands going forward," said Tim Nudd, editor-in-chief of the Clios. "Congrats to both marketers, and to Droga5 and Wieden + Kennedy, for making it happen and catching Super Bowl watchers by surprise." Last year, the Super Clio went to Saatchi & Saatchi New York for the "It’s a Tide Ad" Campaign. Previous winners include 2017’s "Bad Romance" ad from McCann New York for National Geographic, 2016’s Jeep "Portraits" from iris New York, and BBDO New York’s 2015 spot "Brady Bunch" for Snickers. On a side note, Campaign US was happy to see a healthy, respectful debate, with no "man-terrupting" or over-talking from anyone.